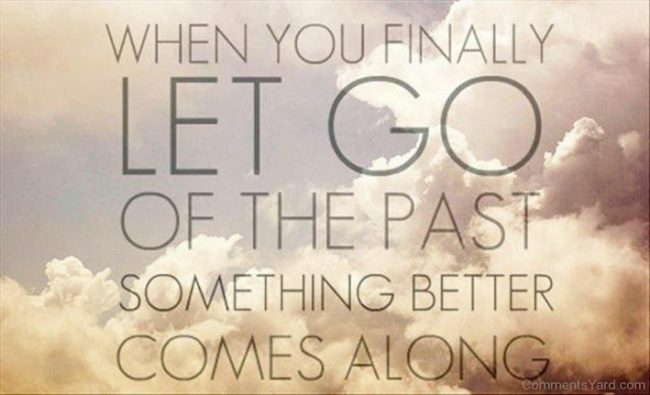 Have you ever been at a place in your life when you needed to “let go” in order to move forward? It’s interesting how we cling to jobs, relationships, possessions, memories, and the way our lives used to be. Certainty and sameness are indeed safe, yet they can lead to staleness and disengagement in our work, relationships, and with life in general. What if when a change or new opportunity presented itself, you could approach it with passion and excitement instead of focusing on your fears, doubts and the way things used to be! Right now I’m in a place where “letting go” is huge in my life. I’m soon moving from a beautiful home and location that my partner and I chose to move to for lifestyle 8 years ago; from special friends, colleagues, and a home we thought we would live in forever. Now due to an employment opportunity for my partner, we’re putting our house on the market and moving to a new place and home that we hadn’t planned on. We’re also downsizing from a 5-bedroom house to a 2-bedroom apartment, which has its challenges. How can you approach life changes with an open heart, excited about a new future, and let go of negative emotions and “stuff” that no longer serves you? William Bridges in his book Transitions – Making Sense of Life’s Changes differentiates between “change” and “transition”. He views change as situational and external, such as moving to a new city or becoming a grandparent. Transition, he emphasizes, is psychological and internal. Transition is the internal “work” we do to help redefine and reorient ourselves and incorporate external changes into our lives. Based on over 30 years of research and work with a variety of individuals and organizations, Bridges identified 3 phases that are common to all life transitions. The 3 phases are: 1) Ending; 2) Neutral Zone; and 3) New Beginning. In each phase there are opportunities to learn and grow, and work to be done in order to move forward. This post will focus on endings and the “work” associated with the first phase. See http://creativelivingcommunity.com/life-transitions-turning-challenges-into-opportunities-2/ for details on the other phases. According to Bridges, the “work” associated with the initial transition phase/the ending is “letting go”. Here are some strategies I, and others have found useful in “letting go” and embracing an ending. Write a letter to the person (partner, employer) or location you are leaving, outlining a number of positive things that you have learned from that particular job, relationship, place. Then burn the letter ceremoniously. At the same time, feel the positive things about the experience and release any resistance you may have to moving forward. Go back over your life and think about your experiences with endings (the death of a pet, the loss of a loved one, a move or a friend moving away). Reflect on these experiences and notice if there is a pattern in how you deal with endings: Do you avoid saying goodbye? Do you quickly move on and try not to think about the experience or the feelings associated with it? Ask yourself if you are comfortable with the pattern. Has it been serving you well or would you like to change it? Take a moment to think about one particular ending or loss you have experienced in your life. Feel it. What did it feel like for you? How has it affected how you have dealt with other endings or losses in your life? Write down your thoughts and feelings. If you’re downsizing, moving or decluttering, a helpful strategy is to pull out all of your clothes (for example), hold each one, and notice if it brings you joy. If it no longer does, thank it and then let it go and give it to someone you think may enjoy it or to someone you don’t know (e.g. women’s shelter). If it is particularly challenging to let go of something that has been gifted to you by someone special in your life, imagine someone else wearing the piece and feeling so good and special in it. Letting go is truly an art; the more we practice it in our lives, the easier it becomes. What strategies have you found helpful to “let go” of possessions, relationships, jobs … . I welcome your experiences and comments below. Feel free to share this post with others. Condo, Marie. Spark Joy: An Illustrated Master Class on the Art of Organizing and Tidying up. Berkeley: Ten Speed Press, 2016. I enjoyed the joy reference as I too enjoyed this book. Thanks for your gentle reminders of letting go and embracing the changes. Thanks for this insightful article. It is very timely for me right now. Your action steps are right on. These are beautiful suggestions when making transitions in life. Thank you! The reflection questions you invited us to answer were really eye-opening. Thanks for this! It felt especially appropriate today as I’m working on letting go many of my old stories about who I am and how I’m “worthy” of showing up in the world. I’m also de-cluttering my closet this week, which always has the effect of helping me release old personas.